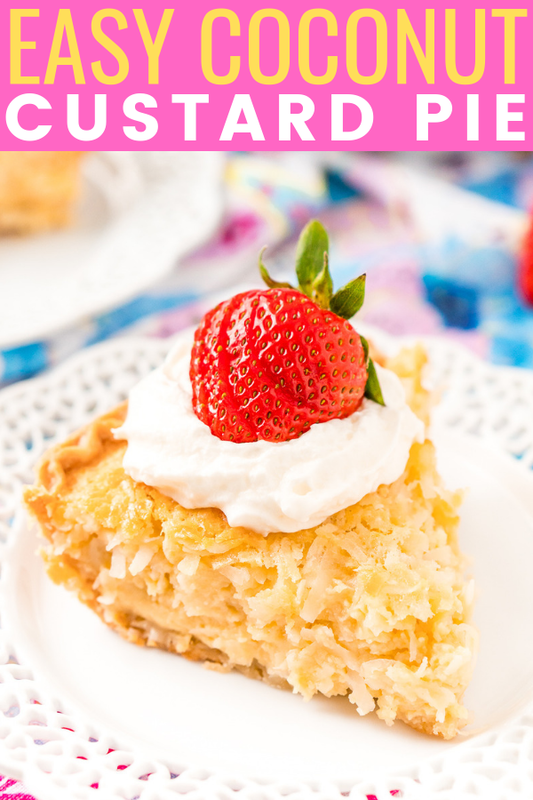 Coconut Custard Pie is a dense and creamy treat made with just 7 ingredients including coconut, milk, and eggs! It’s super simple to whip up for any gathering this spring, especially for Easter dessert! 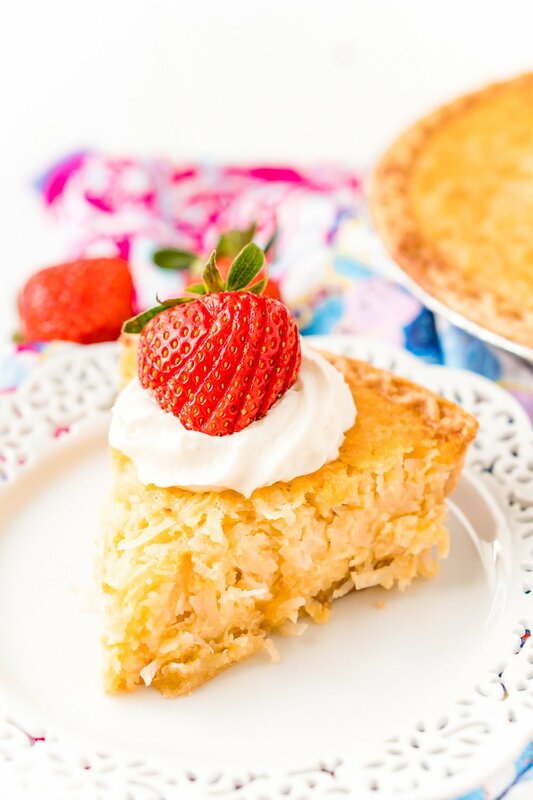 Coconut Custard Pie is a delicious dessert that’ll help you reign in the spring! And chances are, you’ll want to make it all summer, too! Need an Easter dessert for your holiday get-together? 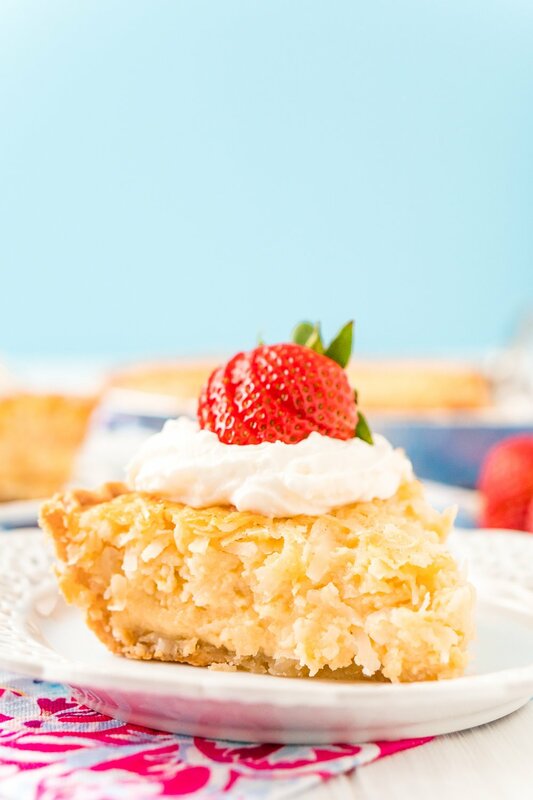 Share this Coconut Custard Pie with loved ones as you celebrate! 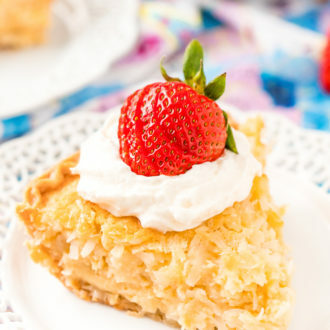 Whether you’re hosting or going to a relative’s house, this easy Coconut Pie will be a hit. After all, it’s the most satisfying way to finish off a big ham dinner, if I do say so myself! You’ll begin by par-baking your pie crust according to the recipe of package directions. Then you’ll make the filling by mixing together sweetened condensed milk, coconut milk, eggs, whole milk, coconut and vanilla extract, and shredded coconut in a large bowl. Once your crust has par-baked, you’ll pour in the filling and bake! The end result is a lightly crispy top and a silky custard center on a butter baked pie crust – It’s divine! Coconut Custard Pie is one of those crowd-pleasing desserts that everyone enjoys, from the kiddos to the grandparents. And since it’s so easy to make, you may want to whip up two — just in case! As the weather gets warmer, you’ll be craving lighter textures and smoother flavors for the season. 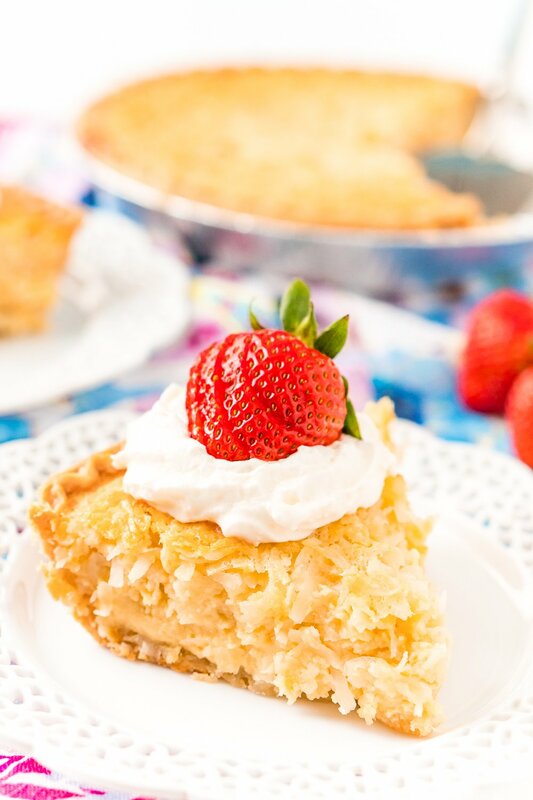 This dessert definitely fits the bill, and in my opinion, nothing says “spring” like a Coconut Pie! And I know I’m getting way ahead of myself, but I’m thinking this pie would make a wonderful Fourth of July treat. Place it between a Strawberry Rhubarb Crisp and a blueberry pie on the picnic table — red, white, and blue! T-shirt and shorts weather is still a ways away, at least here in Maine. But it doesn’t mean we can’t lighten up our desserts as we wait for the flowers to bloom! And to all you fellow New Englanders: milder temps are on the way, I promise! Spring is officially here, and it should be reflected in our desserts. 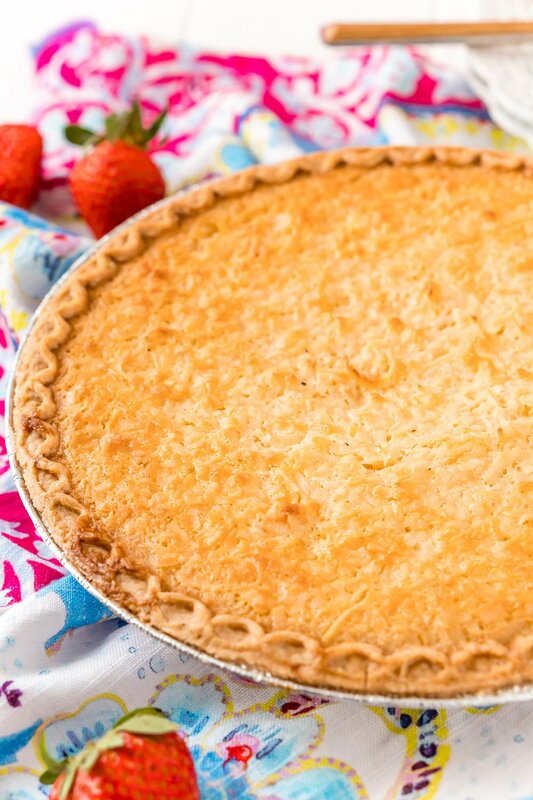 Share this Coconut Custard Pie with friends and family this Easter! Prepare and par-bake the pie crust according to the recipe or package directions. Usually 375 degrees F for 10 to 12 minutes. Make sure to use a fork to poke holes all over the crust so it doesn't bubble. Once the crust has been par-baked, make sure the oven temperature is 350 degrees F.
In a large bowl, whisk together the remaining ingredients then pour the mixture into the par-baked pie crust and bake for 35 to 45 minutes. The center should no longer jiggle when the pie is done. Check halfway through, if the crust is beginning to burn, loosely cover with aluminum foil or a crust guard. Remove from the oven and place on a cooling rack and allow to cool completely to room temperature before cutting and serving. For even more flavor, toast your coconut prior to mixing into the filling.